Projects I create or participate. 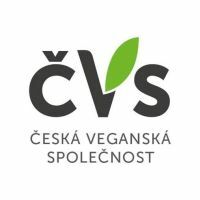 The biggest czech vegan web portal. Besides the news from the world of veganism and animal rights, vegan recipes and practical information about vegan life style (in Czech only) you'll find here a calendar with Czech vegan events, a map of Czech vegan, vegetarian, macrobiotic, raw and veg-friendly restaurants, shops and accommodations, and useful links to other organizations and projects. Psychology-based seminars for cigarette smokers with high rate of success and with money back guarantee in case of failure. Non-profit non-governmental vegan organization which promotes animal rights and spreads an awareness about everyday lives of farmed animals and of other exploited individuals. A website which introduces Animal Studies and Critical Animal Studies and connect people who are interested in this area.